Cross country is a sport in which runners run long distances over natural terrain. It’s a sport known to test strength, speed, and technique. Thus, runners need to make use of both their mental and physical abilities. NCP’s women’s cross country team has been successful at winning the city championships consecutively for four years. 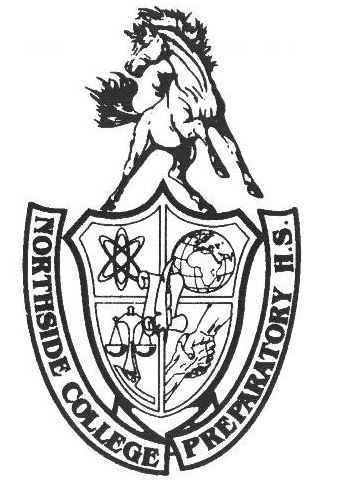 Racking up so many wins has not only brought Northside great pride, but has called attention to the hard work and dedication that the girls have put into every one of their meets. Northside’s women’s cross country team is not only dedicated to working hard, but building relationships with each other and having fun. “We do some fun runs throughout the season,” said Erin Franke, Adv. 908. “We run to the lake and take a short swim midrun, we run to a pie shop and eat pie before heading back to Northside, and even occasionally go to a farmer’s market where we run through and have some great samples,”. By participating in the sport, students can get more than just a good exercise. They can make friends, see new places, and feel better about themselves. At the moment, the women’s team is looking to expand their small team to more Northsiders. “You should join cross country because it is great exercise and you meet many great people. You get to run and get great exercise every day,” said Franke. “For some people, running just one mile may be difficult, but the coaches are very good about building people up slowly. Before you know it, you’ll be running farther and faster than ever before, and while you’re doing this, you’ll have made several great friends.” The team’s current top runners include Erin Franke, Erin Goldman, Gwen Casey, Elia Ton-That, and Kendra Lachcik. Any students that would like some tips or advice about joining the team or running cross country can find them after school during practices. Students interested in getting involved without joining the team are welcome to attend any of the girls’ meets. After winning the city championships four years in a row, the team is hoping to defend its title. The city championships will take place on Saturday, Oct. 13, at Washington Park. The team is working very hard to prepare for the race and is very determined to bring that win home.